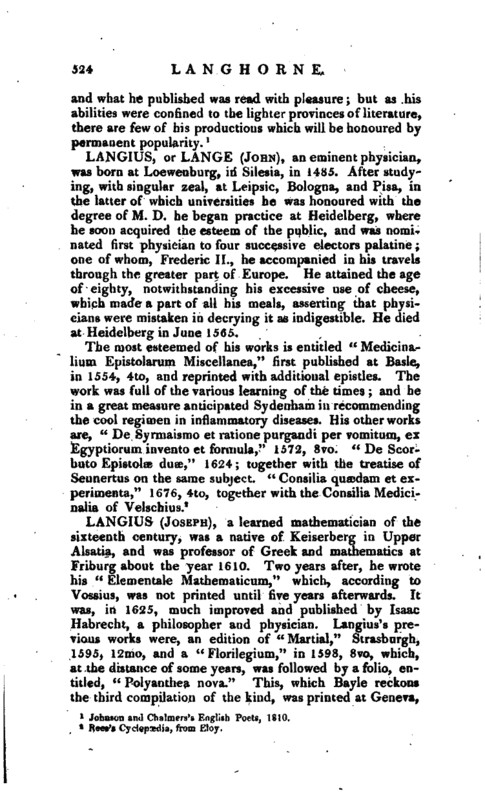 , an eminent physician, was born at Loewenburg, in Silesia, in 14S5. After studying, with singular zeal, at Leipsic, Bologna, and Pisa, in the latter of which universities he was honoured with the degree of M. D. he began practice at Heidelberg, where he soon acquired the esteem of the public, and was nominated first physician to four successive electors palatine; one of whom, Frederic II., he accompanied in his travels through the greater part of Europe. He attained the age of eighty, notwithstanding his excessive use of cheese, which made a part of all his meals, asserting that physicians were mistaken in decrying it as indigestible. He died at Heidelberg in June 1565.